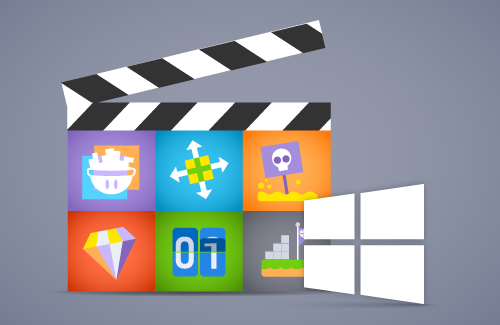 Create your first game with Windows Creator in about an hour with this course. This is a course for Windows Creator. I enjoyed learning about the basics of the software with this tutorial. The instructions were very clear, and easy to follow along. Now I feel more confident looking at the other components in the behaviors menu to see how I can make something from scratch and hopefully have it published. It contains good advice, and shortcuts to change sounds and reset scenes. Usually I get bogged down trying to find assets for every little sound effect in games, which can take a whole day. Now my time searching will be greatly reduced with a shift of pitch! Thanks for put this this together. Perfect for a total amateur like myself. I know nothing about making computer games. This was perfect. I was amused when he kept saying how we wanted certain things to “fire first” and I was taken back to my days of playing Magic The Gathering when abilities would trigger or “fire first”. Good times. This course was exciting to go through. Thank you! This was a very in depth tutorial, I liked how there were mistake and you showed us how to correct them. After this tutorial I feel I still have a ways to go in learning how to use this program, but I feel I have learned a lot in a small space of time. Thanks for the great tutorial, I hope to see more like it. Can I make strategy games like Clash Of Clans using GameSalad. I had just made my first game in a few minutes. Thanks to this tutorial, I can now start to make my own 2D games using GameSalad. It was pretty helpful to me, and I would like to thank you guys for giving me this opportunity to see this tutorial. It was a great starter’s guide for me to use! This was a nice introduction into how Gamesalad works. Have done programming before so it was nice to see it still works in a similar function with no knowledge of coding required. Follow carefully what he is doing because you might get lost at some points so going over each part is required to see the point. While having previous experience with Gamesalad, this course helped me refresh my memories and skill withing the application. It’s a very good start for creating a simple game and learning attributes. This is not an advanced guide where people that seek explanation of all the attributes, no this is just a simple cover of the very basics of how to create your very own first game. And it is very well done. Really great course! Lawrence does very well in showing how to make your first basic game, while explaining the mechanics of how to use the game salad creator. For someone like me who has no experience with game creation or programming, but plenty with other creators (such as image manipulation/photoshop and various movie-making programs), I felt at home watching him go through the tutorial step by step. But even if I wasn’t already used to what a creator interface looks like, it’s laid out to be highly user-friendly, and he takes the time to explain things as you go without skipping the important details. For a beginner class this was clear and easy to follow along. A nice first impression for GameSald Academy. This is great way to learn how to begin basic game building . You can play around learning and experimenting with all the features. And don’t be afraid to go back rewatch videos. I found his simplicity refreshing! I am looking forward to trying this out! VERY SIMPLE AND EASY TO UNDERSTAND. IT IS A PERFECT COURSE FOR BEGINNERS. Thanks! I learned the basics clearly and easily. I learned a lot of new things and I can say that I am very satisfied. Great introductory course. Thank you! That was a really beneficial course. I’ve never designed a game and never realised how many factors there are to consider when designing. 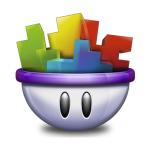 Will definitely be doing some more online learning with GameSalad Academy soon. Wonderful start. Thank you for everything! the course was very helpful. it helped me understood a lot about creating a game. course is worth watching it. That was a great tutorial! very informative and this will definitely help me out when making my first game. Incredibly done. Thank you for your dedication & follow through. Definitely recommend everyone like me who has no experience with this at all to try this course. It worked for me! Pretty easy to understand, even with real world examples of not getting it just right on the first try. Awesome course! Really interesting, and good explenations etc. Also nice that there were made some small mistakes, so that you could see how easy that is, and how to fix them! Two thumbs up! Could do without his sniffing but if that’s the biggest complaint, not bad at all. Would definitely recommend. Awesome course. The course was very intriguing, informational, engaging, and easy to understand. The course taught a phenomenal amount of valuable information in a short time span, and the course was super fun to follow. Thank you so very much. Have a wonderful week. Very easy course and with a lot of newbies things to learn. It was very very worth it. Thank you! Great instructions. Easy to learn and to follow. Only issue I encountered was I detected a bug in the “reset scene” action. Other than that very helpful. Amazing! Really wish there was an explanation on how to reset the gem score though, but I guess that’s what doing things on your own time is for! Excellent way to introduce a beginner into game development. Nice. The whole course almost looks too easy and yet very powerful! I like the course and it will let me make a game. there is starting and ending point and my player try to reach the ending point.But there are some enemies and obstacles that try to not let that. It helped me a lot to learn the basics of GameSalad. An excellent and straight forward introduction to the basic functions. Highly recommended for starting off. awesome first lesson. great teacher and very pleasant. Great tutorial on understanding the basics. A must watch!